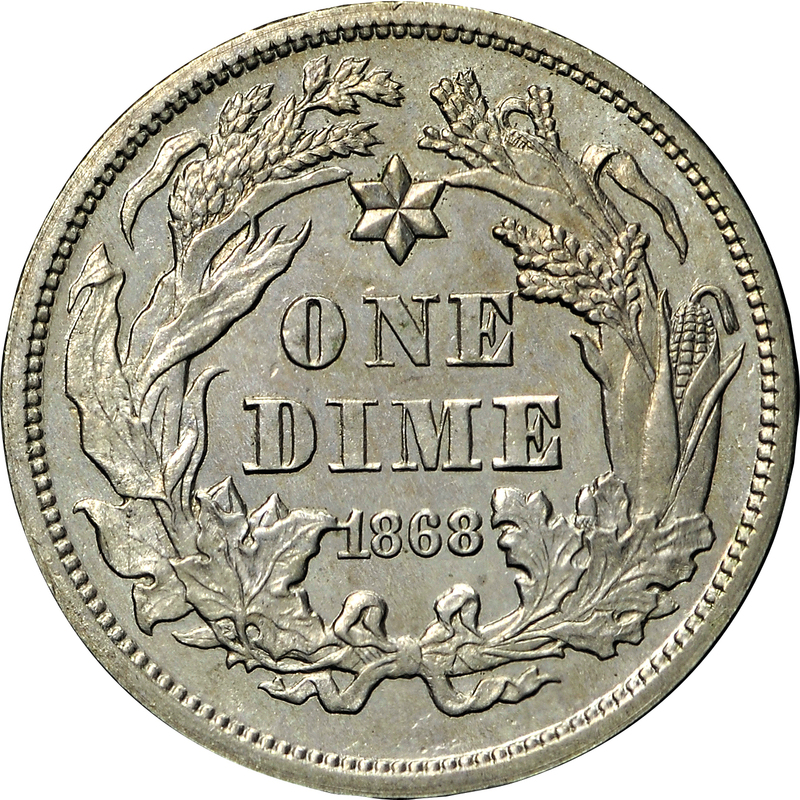 Struck in nickel, this ten cent pattern is very similar to the adopted design used for circulating dimes from 1860 through 1891. The date has been removed from the obverse and replaced below the denomination on the reverse. In addition, a six pointed star is positioned above the denomination. 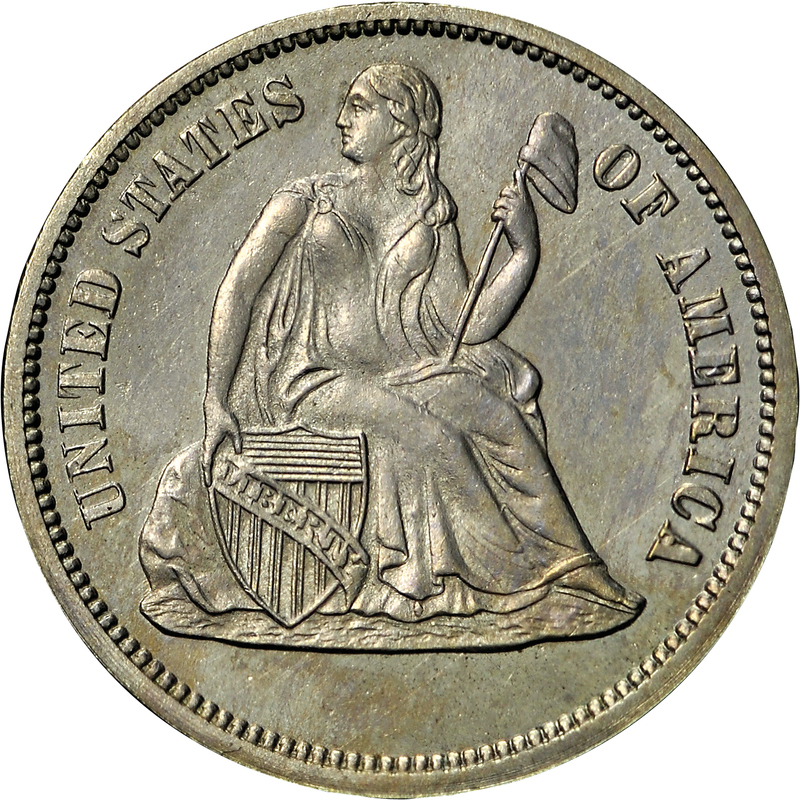 Otherwise, both obverse and reverse are identical to the regular design. The reverse modifications have caused a rather crowded appearance. This same reverse was also combined with an Exchange obverse, part of the proposed coinage to replace fractional currency. From Abner Kreisberg's mail bid sale of November 1970, Lot 1289. 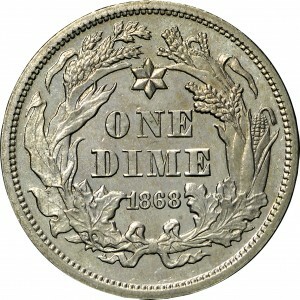 Similar to the type of circulating dimes of the date, but without date on obverse. 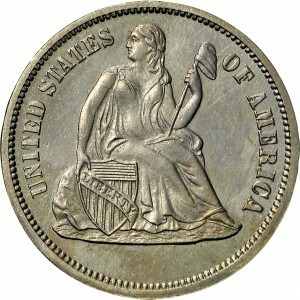 Similar to the type of circulating dimes of the date, but with date in wreath on reverse.